Brand new large solid sterling silver (not plated, not bonded) Hawaiian honu turtle dangling in circle earrings on leverbacks. Turtle size: 16.35mm (approx. 5/8") wide and 18mm (approx. 3/4") long. Circle Size: 29.40mm (approx. 1 3/16") in diameter. Earrings length: 1 3/4" long. Weight: approx. 5.8 grams. 925 stamped for authenticity. Width: 8.45mm (approx. 5/16"). Earrings length: 11/16" long. Weight: approx. 3.9 grams. Stamp: 925. Brand new solid 925 sterling silver Hawaiian couple sea turtle dangling earrings on leverbacks. One of the turtle has the pink/rose gold plating. 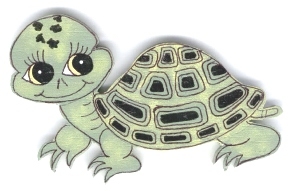 Both turtle have the diamond sand blast finish which makes them very shiny. Each pair of earrings weigh approx. 5.2 grams. Earrings size: 7/16" wide and 1" long. Weight: approx. 2 grams. Stamp: 925. Flower size: 8mm (approx. 5/16"). Turtle size: 10.40mm (approx. 3/8") wide and 11.15mm (approx. 7/16") long. Earrings length: 7/8" long. Weight: approx. 2.5 grams. Stamp: 925. Flower size: 8mm (approx. 5/16"). Turtle size: 10.30mm (approx. 3/8") wide and 11.50mm (approx. 7/16") long. Earrings length: 7/8" long. Weight: approx. 2.5 grams. Stamp: 925. Turtle size: 8mm (approx. 5/16") wide and 11.20mm (approx. 7/16") long. Weight: approx. 0.5 gram. Stamp: 14k. Turtle size: 8mm (approx. 5/16") wide and 11.20mm (approx. 7/16") long. Weight: approx. 0.5 gram. Brand new man made Opal in solid sterling silver Hawaiian Plumeria flower dangling honu turtle earrings on leverbacks. Flower size: 8.25mm (approx. 5/16") in diameter. Turtle size: 9.85mm (approx. 3/8") wide & 9.85mm (approx. 3/8") long. Earrings length: 1 7/16" long. Weight: approx. 2.9 grams. Flower size: 8mm (approx. 5/16"). Turtle size: 10.40mm (approx. 3/8") wide and 11.15mm (approx. 7/16") long. Earrings length: 7/8" long. Weight: approx. 2.4 grams. Stamp: 925. Earrings size: 1/2" wide and 1 1/4" long. Weight: approx. 3.4 grams. Stone: clear Cubic Zirconia (CZ). Stamp: 925. Earrings size: 1/2" wide and 1 1/4" long. Turtle size: 13mm (approx. 1/2") wide and 12.50mm (approx. 1/2") long. Earrings size: 7/16" wide and 1 1/8" long. Weight: approx. 2.9 grams. Stamp: 925. Pendant size: 19.25mm wide & 28.25mm long (including the bale). Pendant Topaz size: 5mm. Pendant weight: approx. 1.9 gram. Earrings size: 11.70mm wide & 33.00mm long. Earrings Topaz size: 4mm. Earrings weight: 2.3 grams. Stamp: 925. The chain in the picture is not included.